Mammoth Modern Insulation was launched in 2012 to challenge entrenched thinking around traditional insulation. 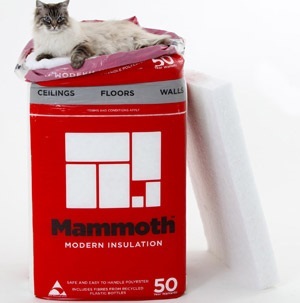 Mammoth highlights the soft, non-irritant, healthy nature of polyester insulation and the superior installation possible for even do-it-yourselfers with Mammoth insulation products. 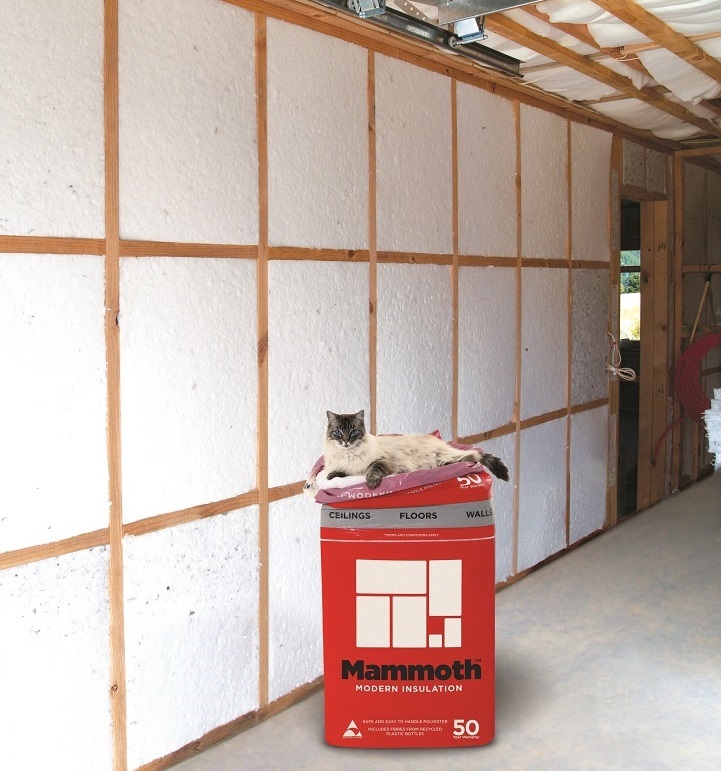 Mammoth insulation products provide long-lasting warmth and comfort to create healthier and more energy efficient homes and buildings. Mammoth polyester insulation is made using fibres made from recycled plastic bottles - so we take waste and use it to create insulation and all our products are also 100% recyclable. With a 50 year warranty you can rest assured that Mammoth insulation will retain its shape and position to keep you comfortable even when you can't see it. Just another way Mammoth makes you feel good. Mammoth won't irritate your skin - it's made from the same material used in many pillows and duvets so no protective clothing, gloves or masks are needed to handle the product. All Mammoth insulation is non-toxic and have no glues, formaldehyde or pesticides added - they are all verified as being Red List Free. Ceiling blanket: blankets rather than sections for ceilings allow you to create a seamless coverage to ensure you don't lose heat though the timber framing. Wall Sections: Mammoth's Air-lay wall sections facilitate a superior wall installation. They create a flush, seamless fit to avoid gaps and creases which compromise performance. Independent tests prove they can exceed usual industry performance expectations. Underfloor sections: the unique medium density Air-lay sections from Mammoth are self-supporting without the need for mechanical fixings or staples. Much easier & safer for DIY installation. Mammoth is guaranteed to perform for at least 50 years so long it is installed correctly and remains adequately protected. 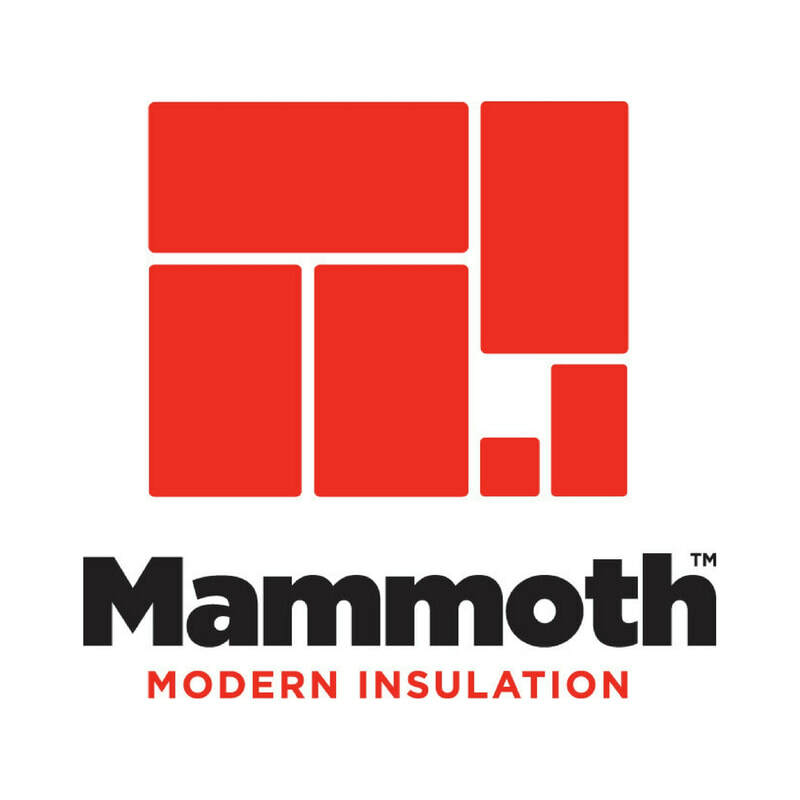 The fibres in Mammoth insulation are heat-bonded together and so with no glues, resins or insecticides to breakdown over time, Mammoth won't slump and is a long-lasting insulation option for homes and buildings. The polyester fibres of Mammoth are also resistant to moisture (damp & roof leaks) and once dried out will continue to perform. Mammoth is manufactured in New Zealand in our InsulPro factories in East Tamaki, Auckland and Milton, Otago. By supporting Mammoth you are supporting a locally owned and operated manufacturer.